53 Truck Guy who is restoring a 53 GMC COE truck. Lots of good information. Your source for 1947-1987 Chevy & GMC Truck Parts. We carry parts for Chevy, Chevrolet, and GMC full size trucks and pickups. 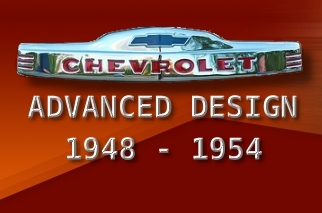 Chevrolet, Chevy and GMC Truck Parts - The largest selection of parts for 1934 to 1972 Chevrolet and GMC trucks. New and used Parts for Chevy and GMC Trucks. Licensed to supply GM restoration parts. Chevy Truck Parts. GMC Truck Parts. FREE Parts and Accessories Catalogs for your Chevy, Chevrolet Truck and Blazer 1947-1991, Ford Truck and Bronco 1948-1979 & GMC Truck or full-size pick-up trucks and Jimmy 1973-91. A 'Virtual Garage' for pre-1972 GM trucks - for restorers, drivers, owners and lovers - to swap tips, lies and parts. Free bulletin board, swap meet page and a Gallery full of old trucks.